North Carolina has nuclear power plants in three counties: Brunswick, Mecklenburg and Wake. In addition, the 10-mile emergency-planning zone for a South Carolina nuclear plant overlaps into a portion of North Carolina. All four plants are operated by Duke Energy. State and local emergency management officials work together year round to coordinate emergency response plans and activities in the unlikely event of a radiation release at any of these four plants. Task forces -- comprised of emergency response officials, law enforcement, first responders and public health officials from each of the impacted counties -- meet regularly to discuss plans, procedures and issues to ensure that those who are responsible for protecting the public are ready to respond at a moment's notice. Nuclear plans, mandated by the federal government, include the evacuation of residents within a 10-mile emergency zone BEFORE a release of radiation occurs. Portions of the plans are tested regularly and drills for each plant are held and evaluated every two years by both the Federal Emergency Management Agency and the Nuclear Regulatory Commission. 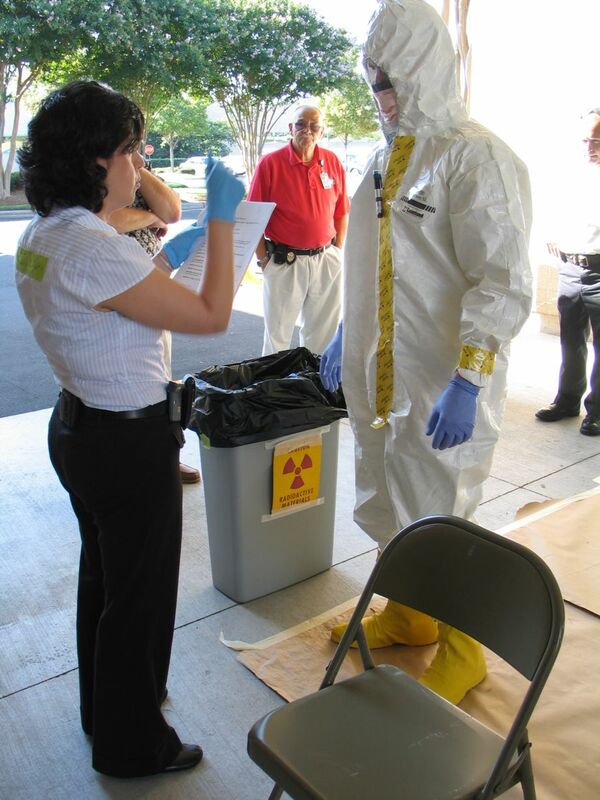 Information about nuclear preparedness specific to each plant is available from Duke Energy.